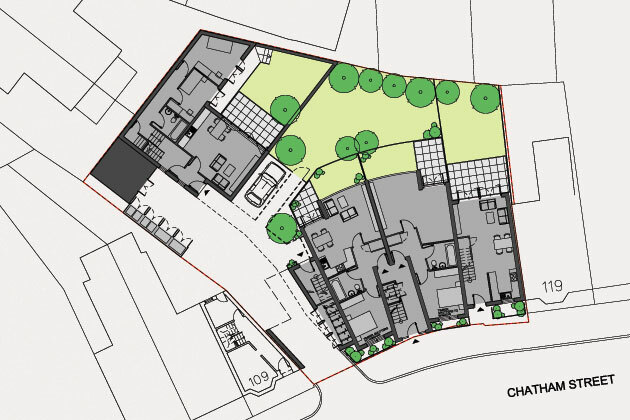 Tuke Manton have been commissioned to develop a residential scheme for a disused site in Chatham Street. The site is an irregularly shaped infill site, which comprises open yard space and a lean-to single storey shed. The property is located between two three-storey terraced houses at 109 and 119 Chatham Street and it benefits from frontage onto Chatham Street and an open green space opposite. The vision for the proposal seeks to set an example for an infill development that not only contributes to the streetscape, but is more compatible with the neighbourhood and also provides a better, safer environment for families. This aims to provide high quality housing with various size units to create a mixed community in an inner city context. The scheme aspires to be a sensitive and contemporary design in a traditional context. By closing the gap in the existing row of terraces, a quiet and semi-private courtyard is created. While the main access to the block of flats is from the street, access to the rear of the site is provided through an undercroft. This leads to the communal and private gardens, and all other buildings on site. While the front 3-storey block provides 8no. 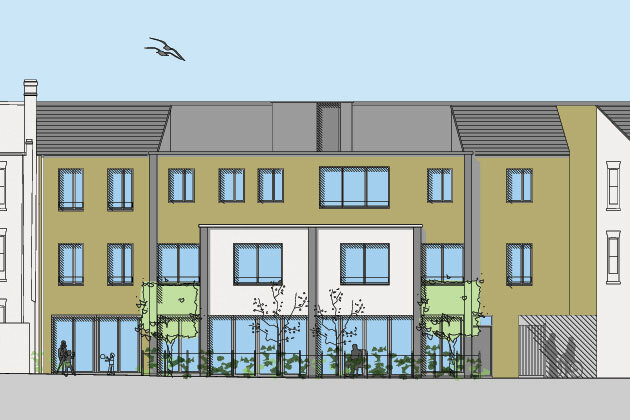 flats accommodation, a detached 1 ½ storey 3-bedroom house is proposed to the rear of the site. In order for it to be unobtrusive to neighbouring properties north of the site, it is proposed to be partially lowered into the ground. By this means a maximum sensible density on site is achieved without detrimental effect to neighbouring properties. All the units are designed to comply with current Housing Corporation Housing Quality Indicators (HQfs) and Southwark’s Adopted Residential Design Standards (SPD). 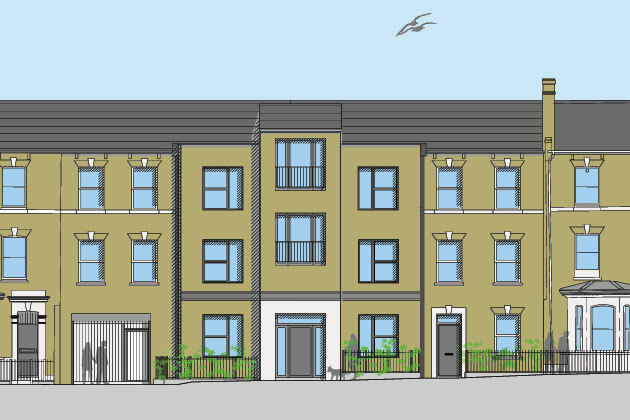 The dwellings and the scheme as a whole will achieve at least a Code for Sustainable Homes Level 3 rating which will ensure that these are high quality homes that are economical and energy efficient in their running costs. Particular attention is to be drawn to the detached house which is proposed to achieve Passivhaus standard. The project has been given planning permission in October 2010.